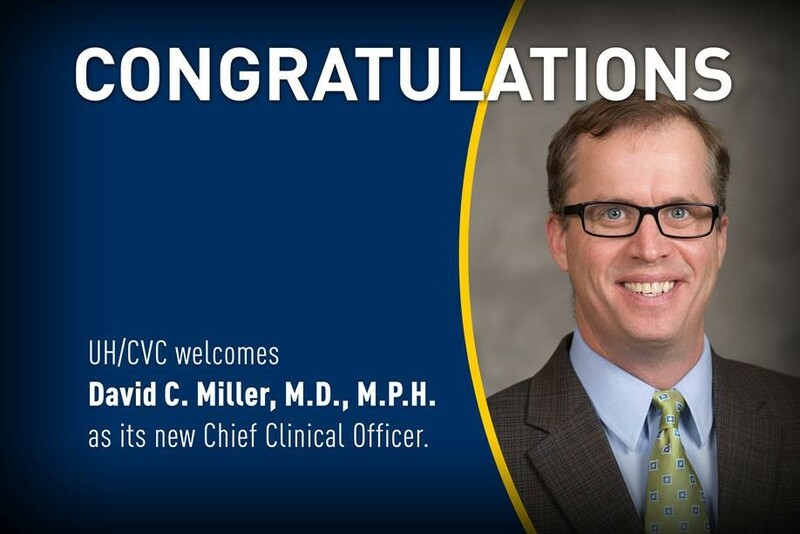 David C. Miller, M.D., M.P.H., will be assuming the role of chief clinical officer for University Hospital and the Frankel Cardiovascular Center, effective Sept. 4. 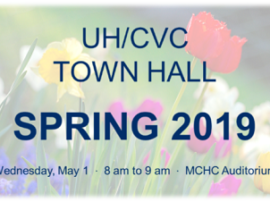 Miller will partner with executive director Shon Dwyer and chief nursing officer Devin Carr to oversee the daily operations and financial performance of UH/CVC. Miller is currently medical director for Strategic Planning and Business Development. 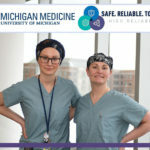 In addition to serving in this role, Miller’s area of expertise is urology and his research interests include quality and access to care for patients with urological cancers. 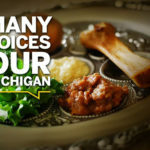 He also serves as director of the Michigan Urological Surgery Improvement Collaborative (MUSIC), a statewide consortium of more than 40 urology practices that aims to improve quality and cost-efficiency of prostate cancer care in Michigan. 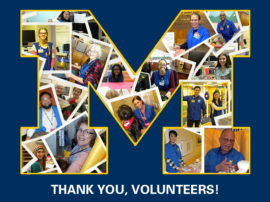 Miller earned his medical degree from Washington University School of Medicine and completed his residency at U-M. During his residency, he also received his Master of Public Health in Epidemiology from the U-M School of Public Health. 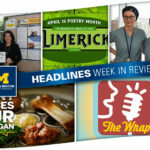 After completing a fellowship in urologic oncology at the David Geffen School of Medicine at the University of California, Los Angeles, he returned to Michigan and joined the Department of Urology faculty in 2008. Please welcome Miller to his new role!